James and Helen now have two growing children, Jimmy and Rosie, who bring a new kind of adventure into James’s life. The Herriots live at Skeldale House on the edge of the Yorkshire dales, whose peace, solitude and feel of the wild make the countryside both thrilling and comforting at the same time. It is the 1950s, a time of new advances in veterinary medicine, but the hard-working people of Yorkshire have not changed. That included James’s dear old friends Siegfried and Tristan — neither of whom had lost his great good humor. We also meet new friends, as James travels behind the Iron Curtain and learns about a world very different from his own. As always, his wonder, his exhilaration, his affection glow in every word, whether he is talking about the glories of the moors and dales, or the fascination of the people. I really enjoy James Herriot’s books. He tells great stories that always keep my attention. I love all the cute animals that he describes as well as the mean ones which he has trouble with every time he has treat them. 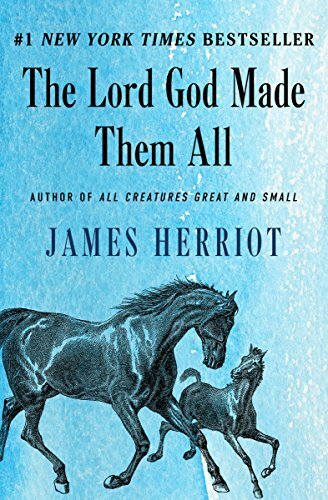 Herriot’s books are great for any animal lover.